The contest was not just the most significant women’s fight in a generation but also the biggest test of the American’s professional career. 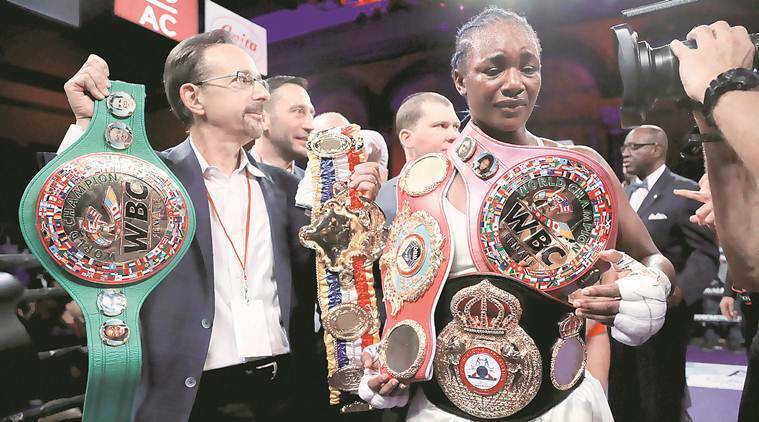 On Sunday, two-time Olympic gold medallist Claressa Shields defeated unbeaten German Christina Hammer to unify the IBF, WBA, WBC and WBO middleweight titles. The contest was not just the most significant women’s fight in a generation but also the biggest test of the American’s professional career. Boxing has seen more accomplished female names — Laila Ali, daughter of Muhammad, retired undefeated in 2007. Christy Martin was made a star by Don King, who featured the American on Mike Tyson’s undercards. Lucia Rijker, arguably the greatest female fighter, excelled in both boxing and kickboxing. 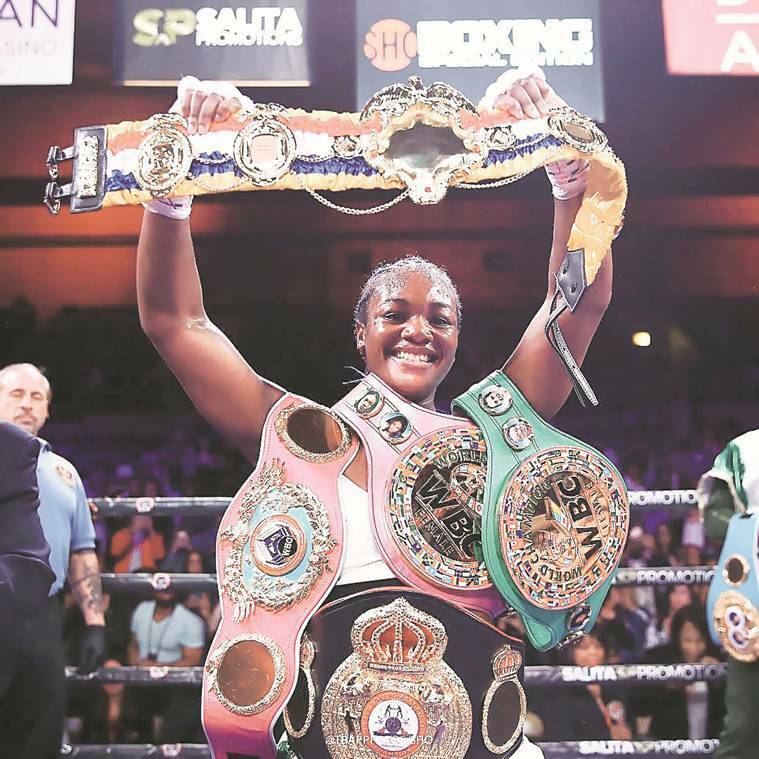 But 24-year-old Claressa Shields’s competitors will never be her predecessors but Ronda Rousey, who elevated women’s mixed martial arts from a oft-derided slideshow to mainstream attraction. Eddie Hearn, who promotes Katie Taylor (the 2012 Olympic gold medallist and two-division lightweight champion is another trailblazer), however argued that Shields vs. Hammer was not as big as it should have been due to the absence of a “major promoter”. “I think it’s just exposure. Just like with Katie Taylor, you start off in a losing battle where 50% of the people say ‘I like women’s boxing.’ Another 25% go ‘hmm, it’s not for me.’ And another 25% go ‘women, what are they doing even boxing’ — with the old school, sexist mentality,” Hearn told BoxingScene.com. There’s truth to Hearn’s assessment, and Shields might still be quite a ways from a million-dollar payday, Sunday’s fight was a major step in the right direction.